For folks whose primary goal with DNA testing is to get some sort of handle on their overall health situation, Promethease has always been one of the available options and, right now, through the end of the year, it’s offering to provide its reports for free. But before you jump in with both feet, remember always that when it comes to sharing your genetic information with others, and when it comes to medical data from DNA results, you need to stop, think and know before you upload. Usually, it costs a whole whopping $5.00 to get a Promethease report. You upload your data, you get your report, and your data is then deleted from the system within 24 hours and the report itself within 45 days. But, right now, Promethease has a promotion going on. It’s now allowing free data uploads until December 31, as a holiday gift to users, and you can get updated reports free as well. And, yes, there’s a catch. So know before you upload. Now you can still get Promethease reports without agreeing to the storage option. It’s a matter of choice. But you do have to think about it — know before you upload. • I understand that my report is deleted after 45 days but that I can download it before it is deleted and that I can regenerate it, if I create an account. And there is one more thing to consider. On that “I am strongly encouraged to discuss my Promethease report with a doctor, genetic counselor or other health-care provider” part, here’s one more “know before you upload” consideration: the views of at least one genetic counselor who’s also a genetic genealogist on Promethease reports. Brianne Kirkpatrick of WatershedDNA is not a fan of these reports. So, before you upload, take a careful read of her comment here. But know before you upload. Thank you so much for the informative and lay-friendly information about the Promethease “gift” as well as the link to Brianne Kirkpatrick’s objective description of what Promethease and other companies can or can’t truly offer, with regard to advance notice of possible negative health issues in our futures. I so appreciate your knowledge and truly thank you for sharing with us. Brianne’s caveat is an important factor here, so … Glad to have the chance to emphasize it again. The word that caught my eye is “de-identify” – as in strip of personal identification in order to sell the information. Lots of money to be made – more than the $5 per upload. I also have questions about how they are able to provide medical information without, like 23andME, being approved by the US Food and Drug Administration as a Medical Device. I have heard that Promethease “lives” in Canada. I was unable to quickly find their physical location on their site. If they are in Canada, there are restrictions in Canada on lawsuits by non-Canadians. I am not impressed with Promethease. I get so confused over the fear of losing confidentiality from DNA testing. I have helped four people find their biological family using nothing but DNA. One began with confirming 4th g-grandparents and working forward to the present generation! The others were closer with the bonanza being one that connected to 2d cousins on the first round. My point is that if ANYONE who shares your DNA posts their results and a family tree, the possibility exists that you will be outed. Indeed I have connected with cousins (wonderful experience) that I never knew existed. I understand the risk of having medical information exposed and the possibility of creating difficulties with insurance. How does that square with a couple in their seventies who have probably already developed most of the maladies revealed by Promethease, and are on Medicare? It does cause me some grief that Promethease’s motives in doing the cheap, and now free, test is not benevolence. I am certain they are collecting data that will eventually be sold. I can only hope it will be used to advance medical research that will be used for altruistic purposes. They state clearly that they do not sell the data, and their right to sell what they collect will certainly be impacted by that statement. They also accept uploads of National Geographic Genographic 2.0 dna data files. why is it everytime I try to get the free report and put in my email and password the password is always rejected. then it sends me an email and says create a password which it always rejects. I don’t think their disclaimer is any different than ancestry’s, is it? I haven’t read ancestry’s for a long time but it seems to me it’s 6 of one, half dozen of another no matter where you test or later upload. 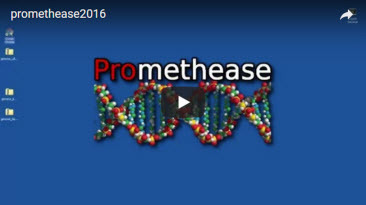 I did the Promethease a long time ago and now I’m debating about uploading again. I was overwhelmed with information the first time around and spent days reading most of it. In the end, I didn’t really do anything with it so if I doit again it would be in the interest of science.